People place their trust in many things but only one trust is reliable. They trust in kings and congresses. They trust in mighty ships and their skill at sailing them. They even place their trust in idols, in man-made images, imagining them to be gods. Each is confidence in their own humanity. And each will fail. Human security will always end in shipwreck, ruin, and failed governments. Christians are not immune from the false hopes of their cultures. We too will experience shipwreck and failed empires. So, our journeys through life should not to be spent trusting in things of the world. Instead, we are to trust in God, who is with us on the journey. Even when things seem desperate—when leaders lead us astray, when shipwreck is obvious, even when there seems to be nothing to eat—God is with us to rescue, to feed, and to empower with his authority. In the face of what may seem to be overwhelming odds, God is the constant and the odds are about to fail—again. 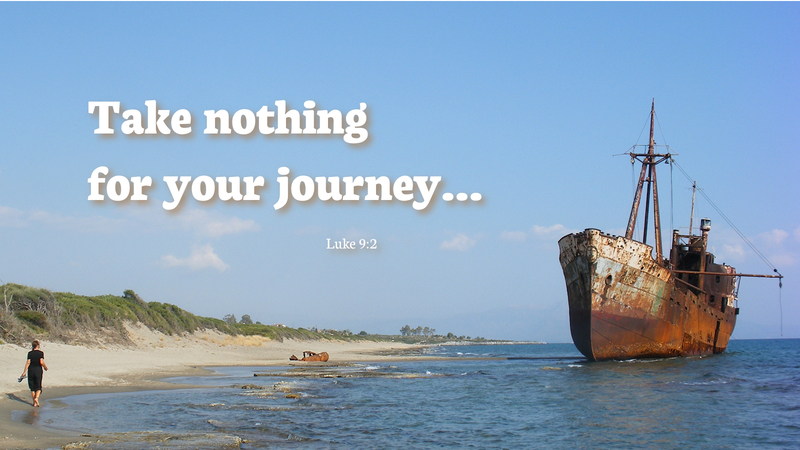 Prayer: Lord, give us courage to go into the world, proclaiming good news, with nothing for the journey but you. Amen. Today’s devotion was written by Mark Ryman, Pastor of Grace Lutheran Church in Advance, NC.